It's the most humble day of his life. Once, the octogenarian autocrat (yes, another one) whose wrinkled lip and sneer of cold command terrified the inhabitants of his ancient, populous country. Now look at him. In bed, barely conscious enough to enunciate the words Not Guilty, but still hauled into court and placed inside a caged dock like some dangerous criminal. 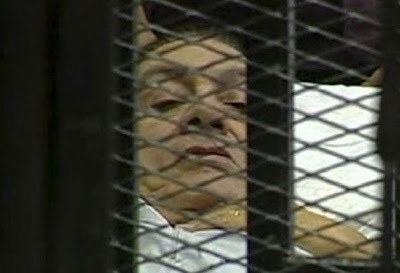 If proof were needed that the democratic revolution has a long way to go in Egypt, it's there in that Cairo courtroom. That's not how developed countries treat disgraced former leaders. In proper democracies like ours disgraced former leaders, like disgraced media tycoons, may have to endure the humiliation of being asked awkward questions by a committee, but that's as bad as it gets. Then it's onto a private jet to a speaking engagement and yet another lavish pay cheque or a high-profile international sinecure. Tony Blair may be facing "a damning verdict" from the Chilcot enquiry - but not the sort of damning verdict that would see him dangling at the end of a rope. It won't stop him preening himself as the global faith czar, or addressing large rooms filled with plutocrats. And he's said to be annoyed that the Mail on Sunday should dare to have leaked the report's conclusions (before he can bring his influence to bear to tone it down, perhaps.) Gordon Brown almost bankrupted the country. He sold off the gold reserves at the bottom of the market, surely one of the stupidest economic decisions ever (the money would come in very handy right now) but do you see him sat in the Iron Cage of Shame? You do not. 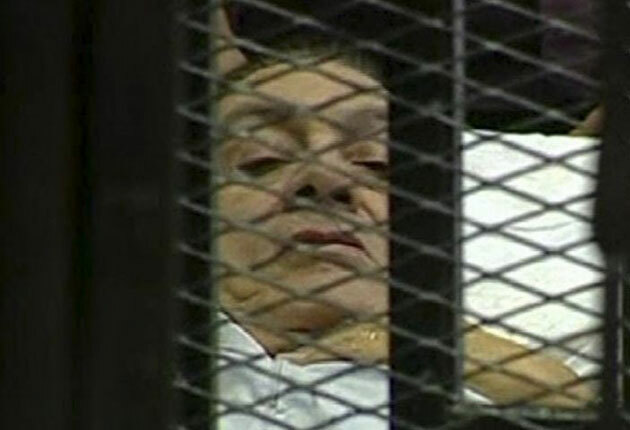 In Egypt, bedridden deposed leaders are treated as we might treat a failed asylum seeker. In Britain, a man who throws shaving foam in the face of Rupert Murdoch gets jailed for six weeks by the same judge who acquitted Sgt Delroy Smellie for striking a female protester across the face with a metal baton. That's how things work in an advanced democracy, you see. As Judge Daphne Wickham put it as she jailed Jonny Marbles, we have "a parliamentary process, which ... conducts itself with dignity and in a civilised fashion."